In today’s retail marketplace, brick-and-mortar businesses face many challenges when it comes to staying in the black. With the rise of online shopping and other competitive factors, retailers must take all necessary actions to maximize revenue, while at the same time reduce their exposure to loss from theft, error, and other factors. While retail shrinkage encompasses a wide range of variables, cash is certainly one factor that must be addressed to combat rising shrinkage rates. 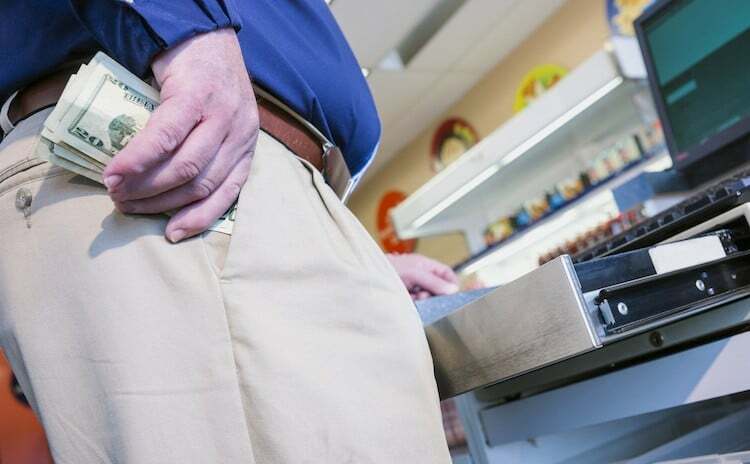 Retailers that deal with large amounts of cash will face the risks and associated costs of doing so, many of which involve cash loss or theft. Unless addressed appropriately, these factors can negatively contribute to the store’s overall shrinkage rate. What Is Shrinkage and what are the Statistics? “Shrinkage” is often used to describe businesses losing inventory or cash due to factors such as theft, error, fraud, and accidental damage. Not only does shrinkage impact profits for a retailer, it can also cause businesses to spend more on security. Unfortunately, such added costs are often passed on to consumers. In 2016, shrinkage cost United States retailers $48.9 billion, or 1.44 percent of retail sales. Even yet, this number continues to rise. 56 percent of retailers reported that shrinkage is getting worse. Nearly 43 percent of losses from shrinkage can be attributed to employee theft. At over 37 percent, shoplifting takes the second-place spot. Coming in at third are administrative losses at nearly 11 percent of total shrinkage, while fraud from vendors and suppliers accounts for almost nine percent of reported shrinkage. It’s clear from these statistics that an increased loss prevention budget may not be the optimal solution to address risking shrinkage rates. Furthermore, increased security may not decrease administrative and fraud shrinkage. For retailers that handle cash, an automated solution might be worth considering. Managing cash using traditional methods can introduce costs to retailers in several ways, including increased labor costs, missed deposits, increased time spent on reconciliations and discrepancy investigations, and theft. In an ultra-competitive marketplace, absorbing these costs can prove difficult for a brick and mortar retailer trying to stay afloat. Fortunately, solutions are available that can help a retailer automate their cash handling processes and reduce risk, which in turn can contribute to an overall reduction in the store’s shrinkage rates. When retailers add automation to their cash handling routine, they will realize many benefits that, in the end, will help them become more efficient, more secure, and more profitable. Such benefits can be realized without having to hire more employees. In fact, with automation, employees previously assigned to the manual handling of cash can be redeployed and assigned to more productive activities within the store. Smart safes can achieve the above goals by keeping money safe, employees accountable, and enabling a safer work environment. These are important factors that can contribute to a reduced shrinkage rate for the store, which would be a welcome statistic in today’s hotly contested retail marketplace. Tidel is proud to be the industry leader in cash automation. We have solutions that help businesses across numerous industries become more automated, and hence more profitable. Learn more about our solutions today!